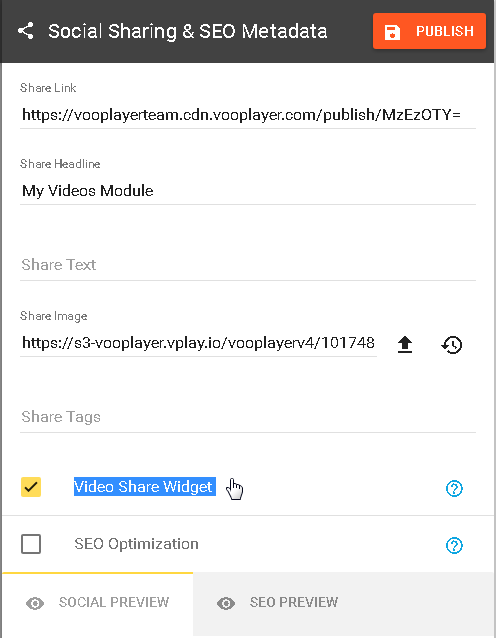 The Share Widget feature will enable you to easily and quickly share your video on the social media of your choice and while watching it. After the activation, a widget will appear on your video at the upper right corner on which, by simply hovering your mouse over it, you will have the option to share the video on Facebook, Twitter, Google +, etc. 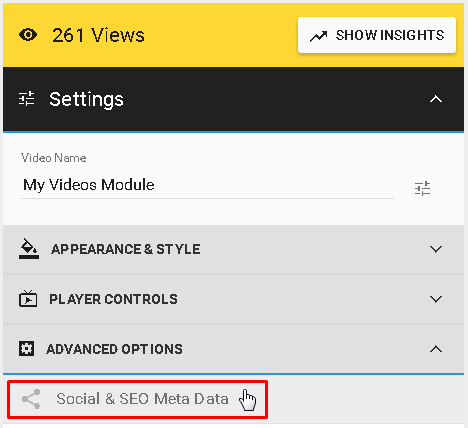 This will enable your viewers to forward the video to the social media while watching it with great speed and with only a couple of clicks. The Sharing Networks allows you to set the number of social networks for sharing with this widget. Sharing Networks for your videos can be enabled/disabled here (just click on each one you want). This is available from your account settings (small wrench icon next to your username) => Application Settings.